While a Pennsylvania law passed in 2011 prohibits texting while driving, speaking on a handheld cell phone while driving remains legal. In contrast, all of Pennsylvania’s neighboring states have enacted bans on such activity—including tough bills passed in New Jersey and New York. New bills proposed in the state seek to require the use of hands-free devices while driving. A 2017 proposal to require the use of a headset or other handsfree device has sat in the House for over a year—and no new law is expected to gain traction in the near future. A detailed article on the proposed changes can be found here. Philadelphia issued approximately 30,000 citations after banning the use of handheld phones while driving in 2009. However, the 2011 state law that banned texting while driving supersedes the county ordinance under Pennsylvania’s exemption clause. Current state law prohibits drivers from sending, reading, or writing text-based communication while a vehicle is in motion. 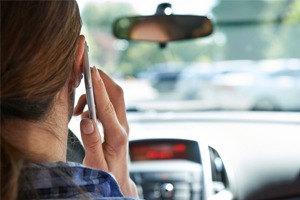 Only 16 states to-date have banned talking on handheld cellphones while driving. The most-recent proposal to require drivers use hands-free devices would also prohibit any driver under 18 to use a cellphone at all while behind the wheel. In 2016, the National Highway Safety Administration reported 3,157 fatalities involving distracted drivers in the United States. Approximately 481,000 drivers use their cell phones while driving during daylight hours—creating an enormous potential for fatal accidents. In the event of a motor vehicle accident caused by a distracted driver, the right attorney will investigate every detail of the accident and fight hard to ensure that your rights are protected. If you or a loved one has been seriously injured in an accident involving a distracted driver, call the experienced Pennsylvania car accident attorneys at Freeburn Hamilton for help at 717-777-7777 or 570-777-7777. When you call, you’ll speak with a leading Harrisburg motor vehicle accident lawyer for FREE. Freeburn Hamilton will fight hard to seek the justice and the compensation you deserve after an accident. Just call the 7’s for help at 717-777-7777 or 570-777-7777. There is no attorney’s fee due up front, and we only get paid after you do.